Vessels made of purple-granule clay, generally refer to vessels made with the refined clay rich in iron that is excavated from Yixing County, Jiangsu Province in present day. The art works adopt clay slices that jointed together to take shape, and went through firing in high temperatures ranging from 1100 to 1200 Celsius degree to achieve the final products. 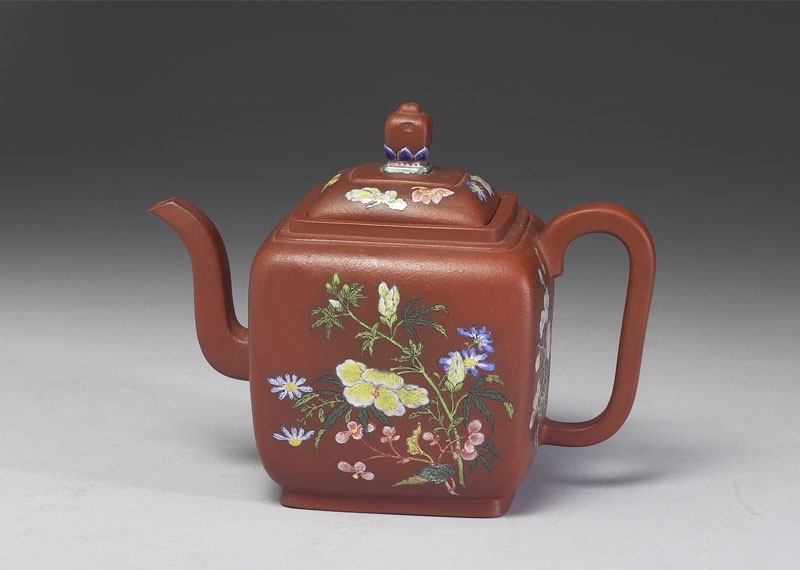 Among all the artworks created by the potters in Yixing County, the Yixing teapots were the most celebrated by the socialites and elites in the Ming and Qing dynasty. The Study on Teapots of Yangxian, written by Chou Gaoqi (? -1654) mentioned that, “In the late one hundred years, teapots made of silver, tin or porcelain from the Fujian and Henan Province are valued less, and the most praised are the ones made with Yixing clay.” Lee Yu (1611-1680) also gave his comment on the teapots in the Occasional Notes with Leisure Motions that “No teapots are more exquisite than those from Yangxian(the ancient name of Yixing).” Even the Emperor Qianlong (1711-1799) noted specifically in his poem Rhythm of Boiled Snow and Layered Old that “Tea made with melted snow in Yixing teapot is impeccable.” It is evident to determine that Yixing teapots were not only exclusive to the teahouses of cultural elites, but also stood for the excellence that was sought after by common people and royal emperors. The exhibition is entitled “The Phenomenon of Yixing Ware.” There are four sections to present the exhibits accordingly. 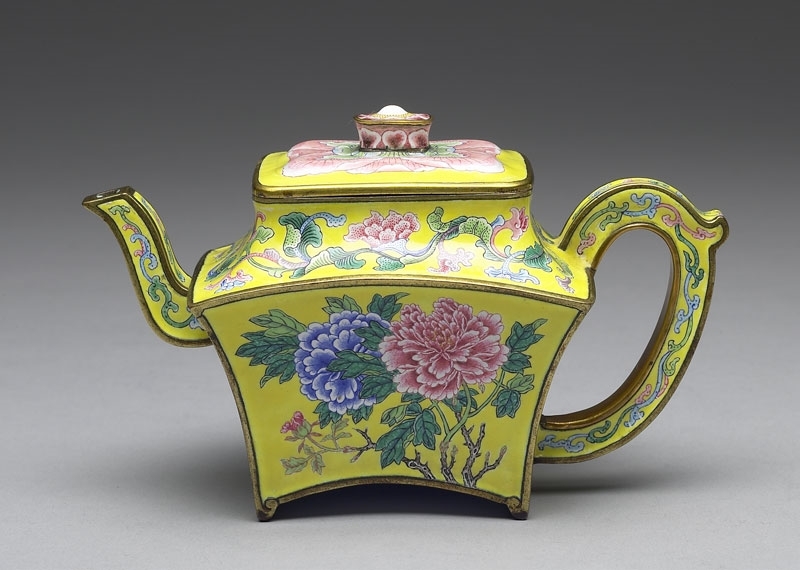 The first is “ Tea Vessels from the Royal Court,” which displays the exquisite enamelled Yixing tea vessels in. “The Charm of Painted Enamels” is the second section, consisting of art objects with painted enamels on porcelain, metal or glass wares and illustrating the aspects of crafts and cultural interactions where the production background of tea vessels in painted enamels on the Yixing ware body was situated. The third section, “Ware of Yixing, Ou, and Guang” focuses on interpreting art works defined as the Yixing ware and further demonstrates how the understanding of Yixing ware evolved throughout the time. Finally, the fourth part, “The Ceremonial Event of Tea”, arranges a tea ceremony devoted to the Emperor based on the collection of the National Palace Museum and imagines the possible features of tea events in the Qing court. 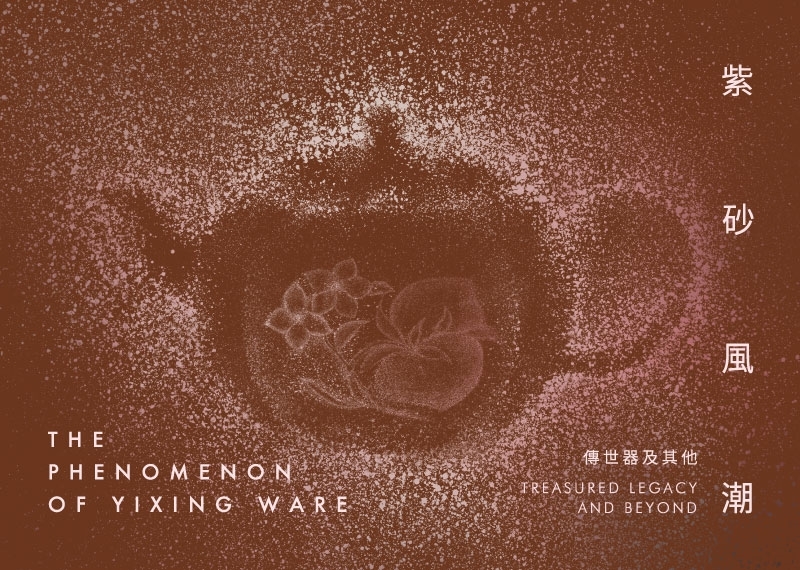 Through this exhibition, the curatorial team genuinely wishes to introduce the essence of Yixing ware collected by the National Palace Museum to the audience. Furthermore, the audience is encouraged to experience the tea ceremonies brought by the trend of Yixing ware and to appreciate the excellent craftsmanship.